As whoever narrates the English version of Hyderabad's Birla Planetarium show says in that magnificent way of his, some things are just "mind... BOGGLING." One of those things is Primer. Yes! 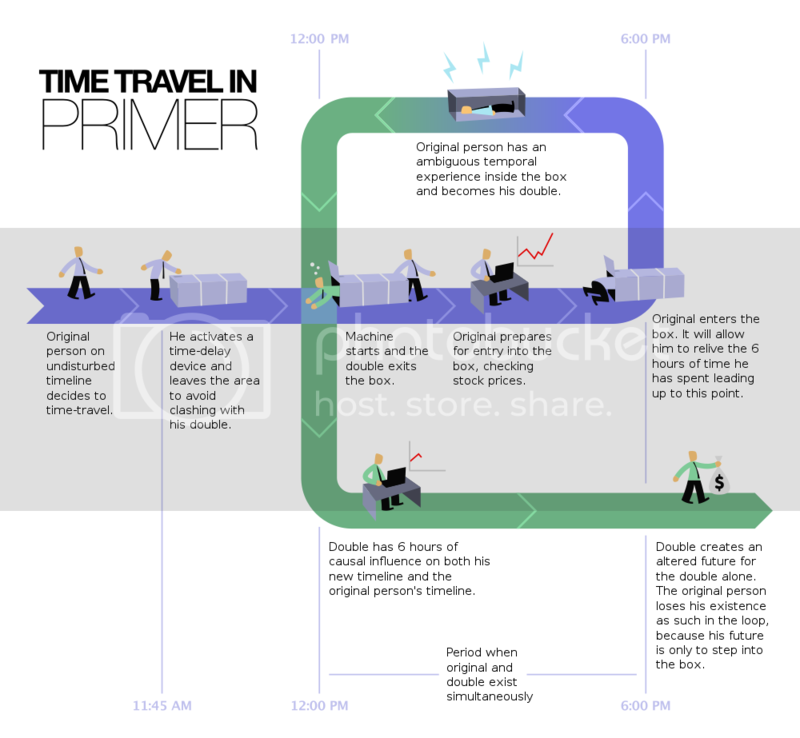 It was/is/will be Time Travel Weekend at the PPCC! Except Primer's really good. 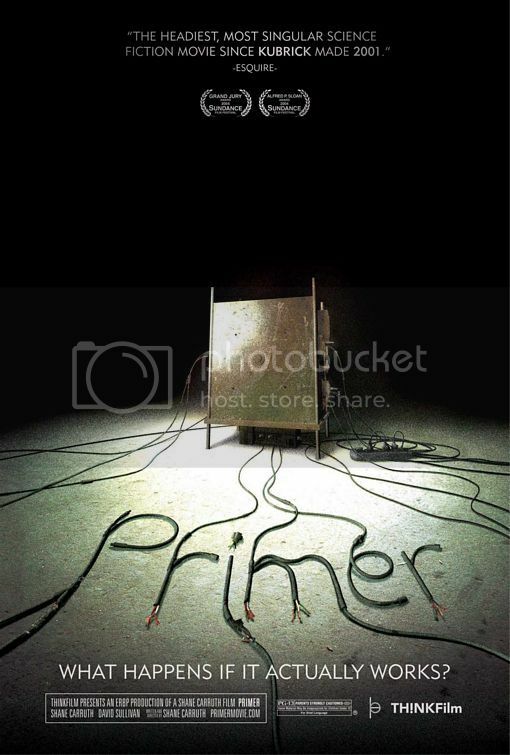 Made on a shoestring budget by unknown mathematician/engineer Shane Carruth, Primer is a Blair Witch-style (forgive us the comparison!) low-fi look at some young engineer-hobbyists who manage to accidentally build a coffin-like time machine, which they call "the box". While initially driven by patents and cash and maybe fantasies of Bill Gates-style Nirvana, the two buddies, Aaron (Shane Carruth) and Abe (David Sullivan), quickly fall into a tangle of mind-melting paradoxes, as they accidentally and intentionally manufacture timelines, copies of themselves, stock market scams and basically try to out-Groundhog Day each other. As one character notes, "The permutations were endless." The film, shot like a homemade video or particularly scratchy episode of Cops, has little use for the usual cinematic devices. Actors mumble, wander and speak in tecchy jargon which often means all of nothing to the viewer. The film also flutters back and forth and around the timeline, so that we never quite understand which "version" of which day we're watching. This was apparently done intentionally to heighten the sense of confusion Aaron and Abe experience as they tumble further and further into the rabbit's hole box. Or you can just do what we plan to do: watch it again and again and again. Recommended.